Cooking at Café D: When Saving Cents...Just Doesn't Make Sense. When Saving Cents...Just Doesn't Make Sense. If you've been following this blog for the past few months you know that I've been focusing on trying to make my OUT-go less than my IN-come. Most of what I'm doing doing makes sense. I've been focusing on my pantry and freezer and it's been good eating. I've been clipping coupons, using them when the items are on sale, and I've saved as much as 63% on my groceries. Also, I only buy what I normally use, and I've been stockpiling when the price it right. So far, coupon clipping and organizing has been relaxing, so I'm not counting the "cost" of my time. When it stops being fun...then the cost will be higher. Breakfast at Burger King has alone saved me $82.94 a month. Yep, that's $3.77 over 22 days. Wow. Instead, I make my coffee at home (the coffee was even free since it's a birthday gift from a friend) and I have yogurt since its cheap, healthy, and I like it. Cutting back is making a difference. I don't have exact figures - since I've been flying by the seat of my pants and stopped using a budget a few years ago. But, I do know that today I have an extra paycheck's worth of money in my account. I've saved an entire paycheck. So, I'm going back to my old ways...in a good way. I've set my TiVo to record Dave Ramsey. I've merged a couple of very small credit cards to a 0% interest account. And, I'll be on a official budget by the end of the week. Because a budget isn't something you use when you are broke. It's something you use when you care where your money goes. Oh, about the silly things I've found myself doing? Fist, let's talk about stamps. Why do I have a 38¢ stamp, a 39¢ stamp, and a 1¢ stamp? 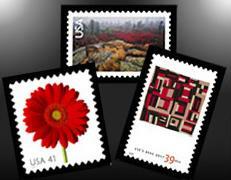 Because a first class stamp is now 42¢. And "throwing away money" just seems wrong. I have paid my bills online for almost a decade. So, on the rare occasion when I find myself actually having to mail a letter I frequently drive to the post office to buy - get this - a 2¢ stamp. Okay, that just DOESN'T make fiscal sense. I wouldn't think twice about throwing out half a yogurt cup if I didn't like the flavor. Yet, throwing out 78¢ worth of stamps seems abhorrent. It's not. It's a burden to have them in my wallet. So, I'm pitching them, as we speak. And, I'll buy 6 "Forever" stamps the next time I have to mail something. LOL - Those 6 should last me through 2012. 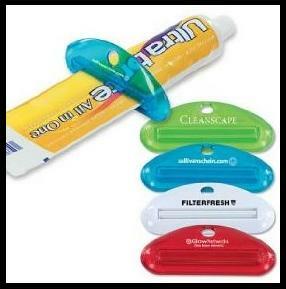 A couple of years ago I bought a 2-pack of these tooth paste squeezers for a buck. (Nowadays, a 2-pack is $3.50 on Amazon, plus shipping.) So, this weekend I was thinking this through. Since my cat doesn't have her own toothpaste tube and won't be using the second squeezer, I actually spent $1.00 on mine. So, how many years will the intsy-bintsy amounts I save per tube - using the squeezer - make it worth the $1 spent on the whole tube of toothpaste? I would estimate a year. So, I saved 50¢ this year using the toothpaste squeezer. Seriously, that is just not worth the trouble. I didn't even get a cool color - my squeezer is white. Hey, doesn't anyone want my spare squeezer? 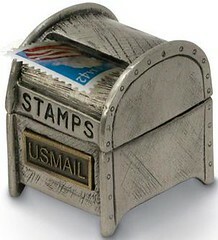 Maybe I can dig those stamps out of the trash and send it your way. that didn't make fiscal sense? And, what are you most proud of? Being penny-wise can so quickly become pound foolish. I cringe when I hear my friend talking about how she spent her entire afternoon going to 4 different stores for her groceries but saved $14. Here she is lugging her kids from place to place, burning gas (not to mention time) all for ... the cost of a large pizza??? The difference between "dieting" vs. "eating smart" is equal to "shopping ONLY the lowest price" vs. "living within a budget". With the diet and lowest price thing, you may get a temporary immediate result and you'll probably really like it, but you'll be horribly disappointed when you realize you can't live like that forever. I'm VERY proud of you for saving a paycheck - feels pretty great, doesn't it? For me, I need to remember to take TIME into account. For instance, I recently purchased a new camera, and I needed a battery charger. I could have spent $27.99 on the one that charges batteries in 6 hours, or $37.99 on the one that charges batteries in 15 minutes. Five years ago, I probably would have gone for the one that takes 6 hours, just to save the ten bucks (and five years ago, that would have been required, that's how tight we were). Now that we can afford the extra ten bucks, it's worth it to me to spend the money to save the five-and-three-quarter hours, because I know myself and I know I'll never remember to charge the batteries overnight before a function, and then I'll wind up spending money on regular batteries at some tourist trap, and there go my ten bucks anyway. And I've also discovered good quality makeup. I broke down a while back and spent the money on mineral makeup. I went to the store, had one of the associates there help me choose a shade, and cringed when I got to the register, but it's been worth it. The $69 I spent (two shades of foundation that I blend, plus the finisher) got me a shade I know beyond a shadow of a doubt works for me and will last me for 6-8 months. Drugstore stuff is at least $10 these days, doesn't come with an associate to help you choose a shade, and you wind up going through several before finding one that works (shade, consistency, texture, etc.). You can save money with discount coupons and special offers, check www.clickmycoupon.com before you shop to find free discounts. What I'm proud of is paying my bills on time. Late fees and unnecessary finance charges are just the stupidest waste of money. I rarely go out of my way to save little bits, though. It feels good to have a budget where I don't have to.